Technology, in and of itself, is neither inherently "good" nor "bad." That said, to what extent do engineers have a responsibility to create solutions focused on social good? This panel will address the role engineers and others have in developing technology for the benefit of humanity. This free virtual panel will be held on Tuesday, 23 April from 12-1PM Eastern Daylight Time (GMT -4). 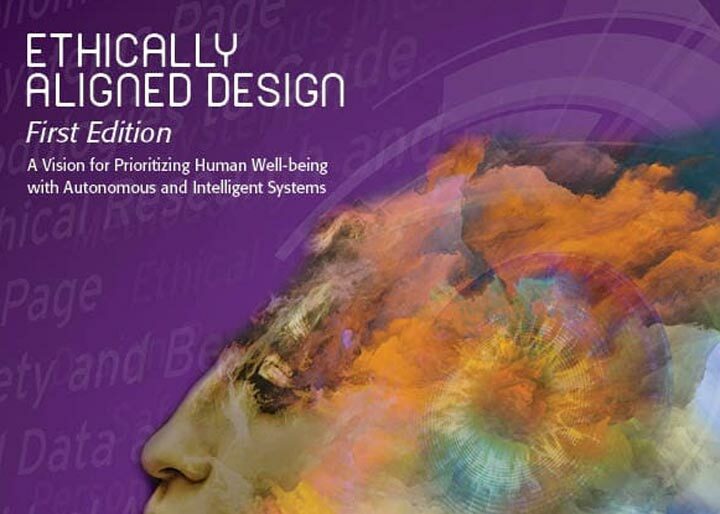 IEEE has released Ethically Aligned Design, First Edition (EAD1e), a comprehensive body of work that distills the consensus of its vast community of global creators into a set of high-level ethical principles, key issues, and practical recommendations. EAD1e is an in-depth seminal work, a one-of-a-kind treatise, intended not only to inform a broader public but also to inspire its audience and readership of academics, engineers, policy makers, and manufacturers of autonomous and intelligent systems (A/IS) to take action. 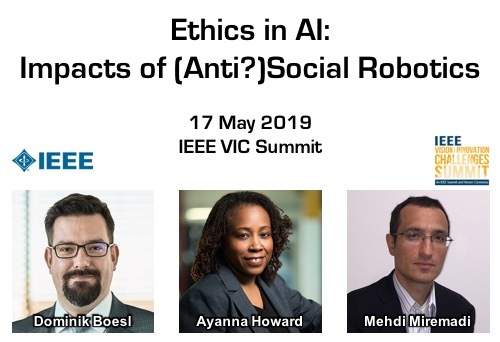 IEEE TechEthics is hosting a panel on ethics in AI and machine learning at the 2019 IEEE VIC Summit on 17 May in San Diego, CA, USA. The session will be moderated by Dominik Boesl, IEEE TechEthics Ad Hoc Committee Chair. Registration is now open for the VIC Summit, which brings together leading innovators, visionaries, and disruptors in technology to discuss, explore, and uncover what is imminent, what is possible – and what these emerging technologies mean for our future. In 1969, the first manned space mission landed on the Moon. This one giant leap influenced the public's views on the possibilities of technology, while also inspiring debate and action on several other societal issues. This IEEE TechEthics panel addressed the 50th anniversary of the Moon landing with a discussion on the societal and technological impacts of this historic event.